Let's face it, there's a plethora of health and well-being books out there these days and sometimes it's hard to know where to start. In the Books section of this site you'll find some of my all time favourites ... but there's lots of new ones on the block. Get fitter, stronger and healthier in 7 days and move as nature intended. This book has really easy-to-follow instructions, tips and photo illustrations of high-intensity training (HIIT) as well as low-intensity flow-based workouts that all focus on good form. There is also a mindful breathing exercise to reduce stress and to assist with recovery while on your Paleo Fitness journey. Get outside and get fit in a really enjoyable way. 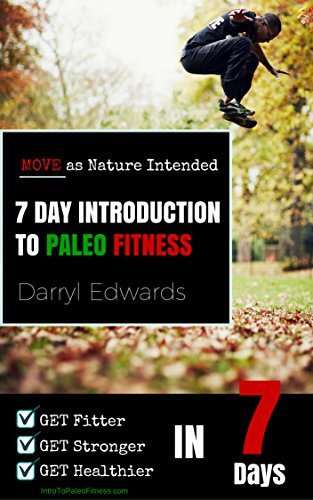 Darryl Edwards is an international speaker, certified personal trainer, nutritional therapist, and award-winning author of Paleo Fitness: Primal Training and Nutrition to Get Lean, Strong, and Healthy. His work has been published in Men's Fitness, Women's Health, Elle, Top Santé, as well as featured on the BBC and ABC in Australia. Her programme begins with a juice cleanse, then moves onto delicious, skin-loving meals, including Immunity Ramen, Beet Burgers, Cheese-less sauce and even Clean Tiramisu. There is also a selection of homemade beauty products, such as Avocado and Honey Facemask and Rosemary and Lemon Salt Scrub. So if you are searching for a healthy, natural way to help with common (and often debilitating) skin problems, this book should be your first call. 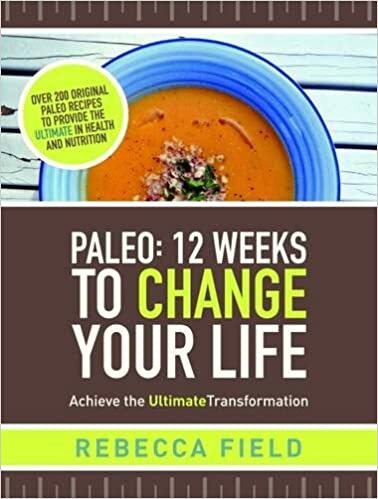 Quite simply, *the* UK Paleo book if you're looking to lose weight and change your life. I wrote a review on it earlier this year and it's still my favourite UK Paleo book to date. An amazingly thorough resource that walks you through 12 weeks of meal plans and over 200 (delicious and realistic) recipes to guide you. If you're not Paleo but you're wanting to follow a low-FODMAP diet, then you need to get hold of a copy of Our house for Tea. Written by Laura who's followed a low-FODMAP diet for years and knows all the challenges of following it and keeping your family happy at the same time. Cracking recipes abound, you can read my review of it here. Yep, Darryl's back again! 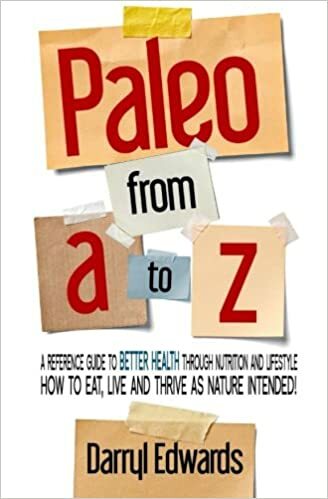 I truly wish when I had started my Paleo journey that this A to Z book existed. There is always a lot of new terminology to get your head around with any new diet/lifestyle, and Paleo is no different. There's a *lot* of science behind the Paleo lifestyle (which is why I believe in it, research-backed gets my vote). This book is so handy to have as your go to reference guide when you're reading up about Paleo. It's written in simple language so it will easily help you translate any terms you come across in the Paleo world. Available in Paperback, Audiobook and Kindle. This book has just landed on my desk for a full review (to follow soon). WOW it looks ace! If you've not heard of Kombucha yet, you really need to. Kombucha is a great natural, healthy and refreshing alternative to sweet carbonated soft drinks, which is easy and cheap to make at home. You can learn how to make it yourself with this fantastic guide. It requires just a little time and a suitable glass bottle - it's as easy as that. Kombucha is loaded with probiotics, organic acids, acyive enzymes, amino acids and anti-oxidants, so it's super for your gut health. 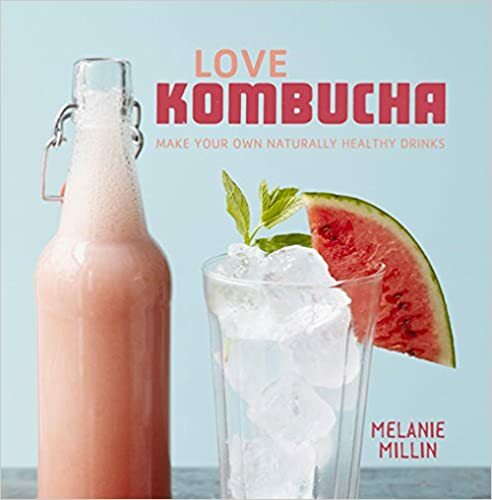 With a step-by-step guide to the process, recipes for different flavours, plus ideas for cocktails and even some surprising uses you may not have thought of before. Available in Hardback and Kindle editions. Ok ok, I've not read it yet (it's only just been published) but I'm *really* hoping someone puts it on my Santa list! The Grain Brain, Dr David Perlmutter's original book, is THE book that converted my thinking on food, nutrition and well-being forever. Dr. Perlmutter has written the definitive, highly practical lifestyle guide offering readers a step-by-step plan to lower the risk of brain ailments while yielding other benefits, such as weight loss, relief from chronic conditions, and total body rejuvenation. 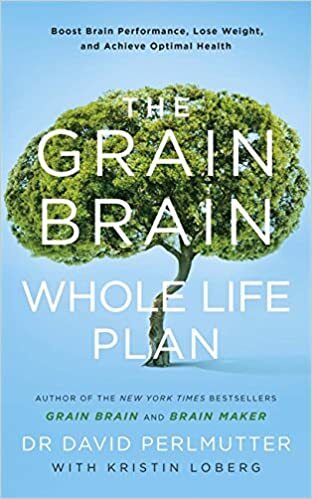 Accessible and science-based, The Grain Brain Whole Life Plan provides readers with actionable information, including all the core nutritional advice they know and love from Grain Brain and Brain Maker, and going far beyond that in a comprehensive, personalised programme. From sleep to stress management, exercise, relationships, and more, The Grain Brain Whole Life Plan will teach you how to live happily and healthily ever after. I think it will become many people's life bible. 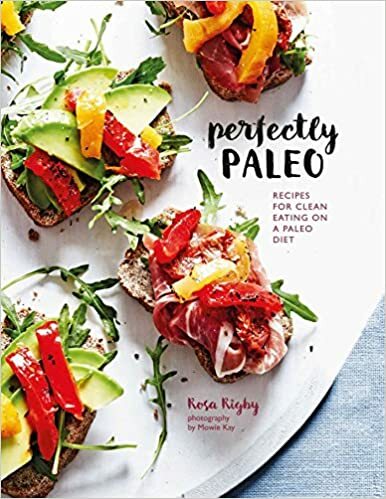 Ok, another one I don't own yet but NEED in my life - getting high quality UK Paleo recipe books is not easy and this is definitely one. Rosa Rigby is a chef and formerly recipe developer at London fine-dining paleo Restaurant, Pure Taste. She presents recipes organized by style, starting with ideas for Breakfast Boosts that include Green and Pink Smoothies, Cinnamon and Pecan 'Granola', Sweet Potato Porridge and Banana Pancakes with Bacon. There are Main Meals such as Nori Rolls with Pickled Ginger, Paleo Pizza, Oven-baked Salmon, Slow-roasted Pork, Thyme, Tomato and Red Onion Vegan Tart, On-the-bone Chicken and Sweet Potato Gnocchi. She also offers up Tasty Treats to satisfy those sugar cravings with recipes for Marshmallows, Date and Ginger Cake, Campfire Pie, Mocha Mousse and Chocolate Cupcakes. You won't be lost for inspiration with these recipes for food to enjoy with family and friends, so go against the grain and become perfectly Paleo.